Not all Australian banks will lend to foreign investors, as it is quite risky business. However, if you live in Australia (whether you’re here on a temporary or permanent visa) then you are not considered a foreign investor, and your application will be reviewed the same way as a citizen’s application would. 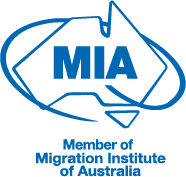 People who hold temporary visas will be able to borrow up to 70% of the purchase price of a new property in Australia. This means that your deposit is going to be around 30% at purchasing time. There is a maximum borrow of 80% of your purchase. Permanent residents can borrow more, and will usually be offered the same as Australian citizens, which is normally 10%. This will, however, vary between banks so it always best to seek advice from a trusted agent. Australia has introduced a First Home Owner Grant (FHOG) scheme, which is designed to offset the effect of Australia’s Goods and Services Tax (GST) on home ownership. To take advantage of the FHOG scheme, you generally must: be an Australian citizen or permanent resident; not have held an interest (ie owned or part-owned) an Australian property on or after 1 July 2000; and the total value of the property (including both land and building/s) must be less than $750,000. To benefit from NSW’s First Home Buyers Scheme, at least one purchaser must live in the property for at least 6 months, which must start within the first 12 months of the purchase. Victoria’s FHOG Scheme isn’t available for ‘established homes’, but if you’re buying an established home you might be entitled to a duty concession of up to 50%. Queensland doesn’t offer grants for purchases of existing homes – therefore you must buy or build a new home (though a purchase of a ‘substantially renovated home’ may also be eligible). All purchasers must live in the home for 6 months, which must commence within 12 months of the purchase. South Australia’s FHOG is only available if you’re purchasing or constructing a new residential property, and the property value is $575,00 or less. All purchasers must occupy the home for at least 6 months, starting within 12 months of the purchase. The ACT’s FHOG Scheme only applies if you’re buying or building a new home, a substantially renovated home, or an off-the-plan home. Further, at least one purchaser has to move into the home within 12 months of the purchase, and that person must live there for at least one continuous year. The NT’s scheme is only available for people building or purchasing a new home, though people purchasing an established home may be eligible for a stamp duty concession. At least one purchaser must occupy the house for 6 months, starting within the first 12 months after purchase. Tasmania’s FHOG is available to people either building a new homes, or purchasing a new home (including an off-the-plan new home). At least one purchaser must occupy the home for at least 6 months commencing within the first 12 months after the purchase. As a temporary or permanent resident, you are entitled to the same competitive interest rates as Australian citizens. Interest rates will vary depending on the housing market but if you play your cards right you can secure them as low as 5.40%. Whether you choose to use a new dwelling as an investment or as a home will not generally vary your investment rate. Newer PostI am an Australian permanent resident - can I bring my parents to Australia?